25 GRAMS is the story about the 25 grams of coffee in each bottle. We only use the best specialty beans from around the world and steep them gently in cold water. 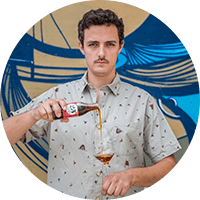 After lots of time, delicate flavours develop and a super clean, sweet and refreshing black coffee is born. 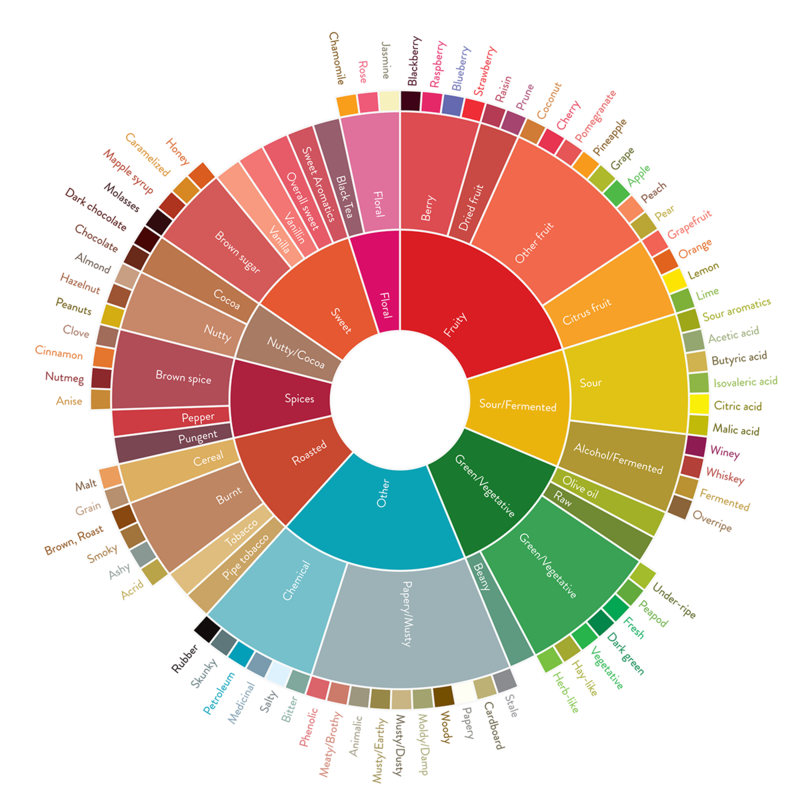 With each batch there comes a different flavour profile showcasing first of all the terroir of the coffee. 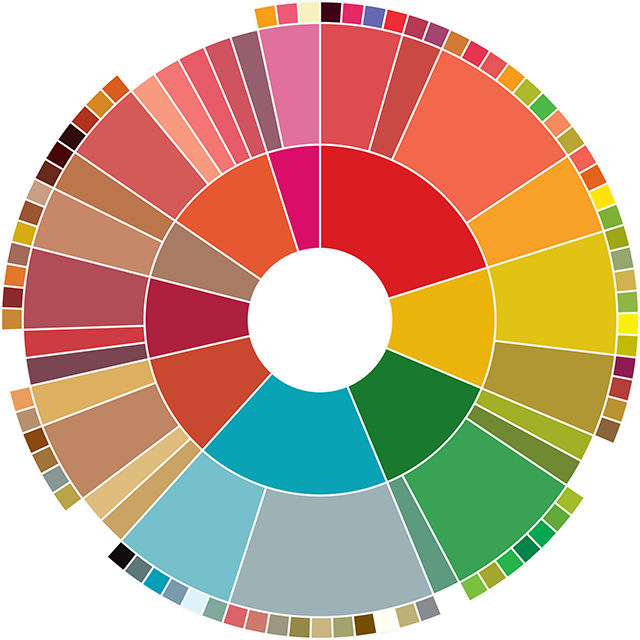 The taste however is also influenced by a number of other variables reaching from processing until roasting. So whether the coffee in the bottle tastes fruity like a blueberry, floral like jasmine or has delicate chocolate notes and a nutty almond like finish is decided all along the way from bean to bottle. We at 25 GRAMS try to be as transparent as possible so you know why your 25 GRAMS Cold Brew Coffee tastes the way it does. On each bottle you get the info you need to trace the journey of the coffee back to a rural hillside farm somewhere around the equator. The color scheme of the bottle etiquette is different on each edition. 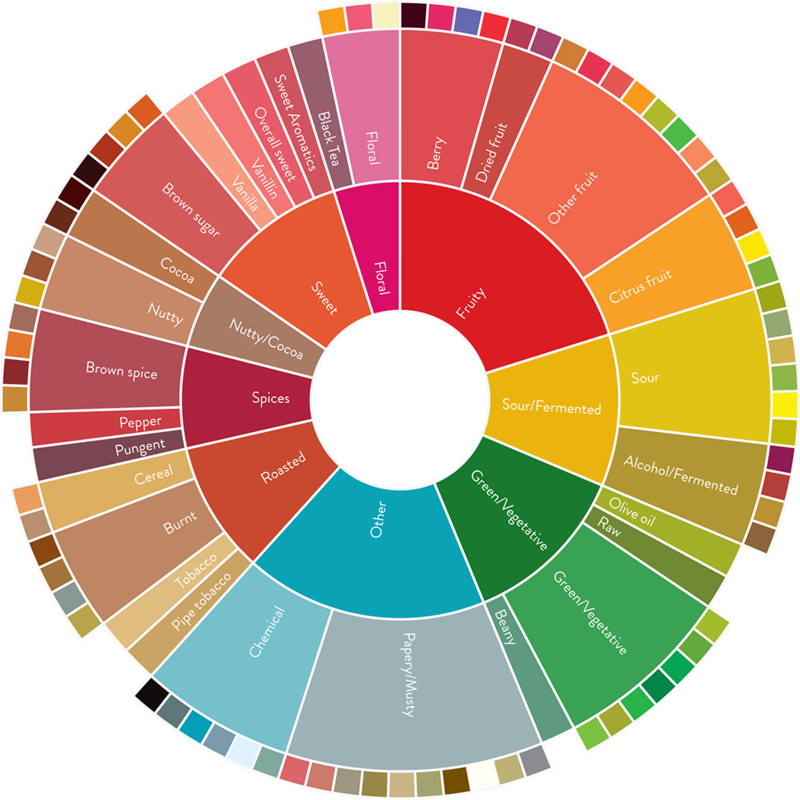 It is a visual representation of the tastes in the bottle according to the Specialty Coffee Association’s Flavor Wheel. 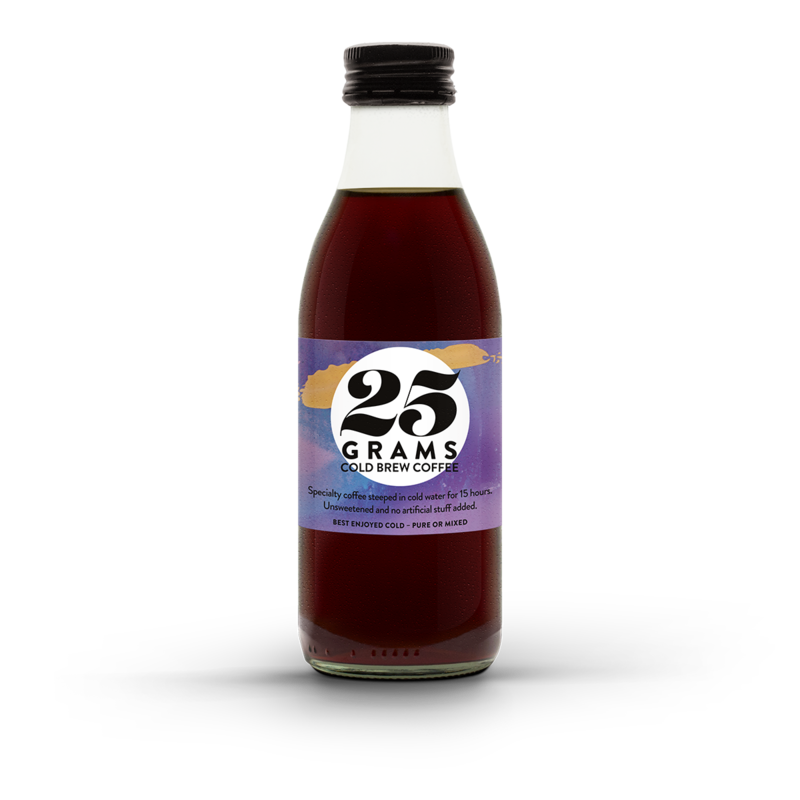 Enjoy the colorful tastes of 25 GRAMS. Yeah boi!